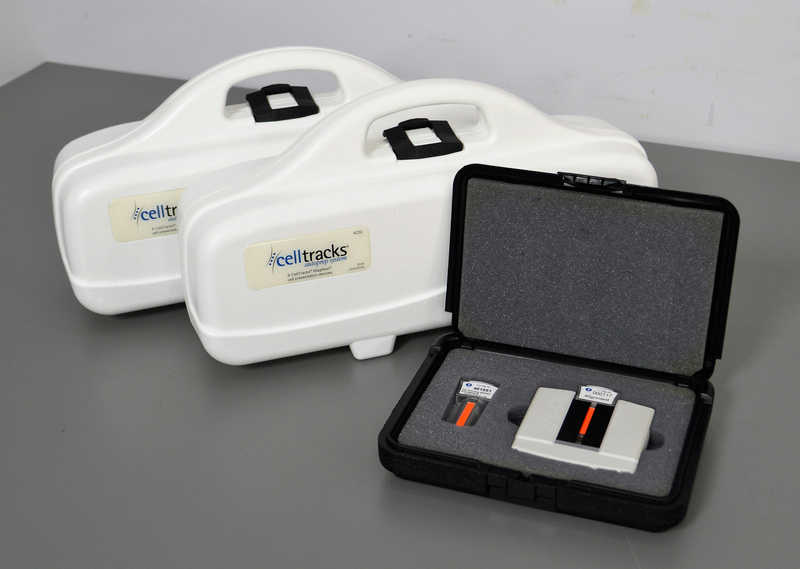 Immunicon CellTracks Analyzer II AutoPrep MagNest Cell Presentation Devices . New Life Scientific, Inc. This CellTracks Analyzer II Alignment Kit and MagNest Cartridge Holders are in good cosmetic condition. They come with carrying cases for easy transport and storage. These are used with the CellTracks Analyzer II System and CellTracks AutoPrep System. Please contact CellSearch on availability and pricing for sample cartridges.